Undying Inc | OK Listen! 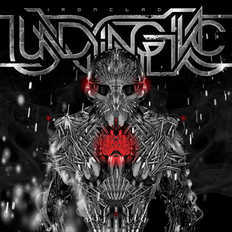 Undying Inc are a lethal blend of speed, technique, groove and extreme aggression! Over the past decade the band has developed a sound defined by relentless riffing intensity, sharp twists, massive breakdowns; rapid time signature changes and fluid gear shifting between polyrhythms. In today's metal scenario Undying Inc's music is a lesson in crushing modern metal combat! Here is music that will make you want to chokehold the world you live in!